38ft Dishwashing Trailer Conveyor Type | Free Quotes! 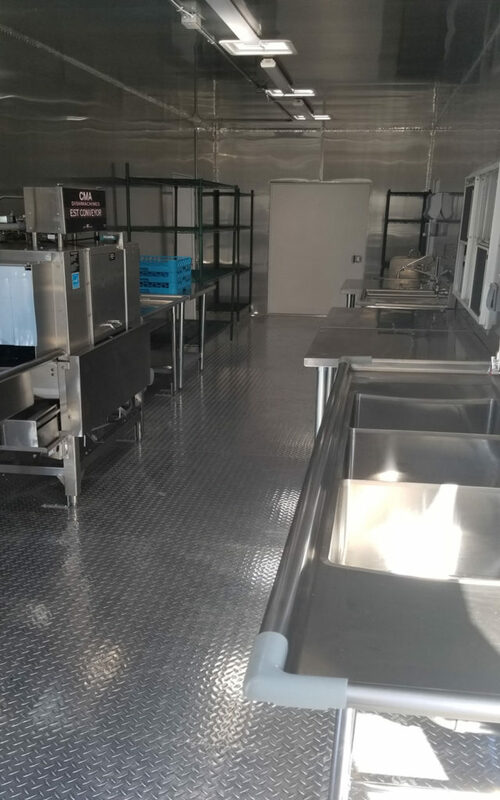 Our 38ft mobile dishwashing trailer conveyor type is an all electric conveyor belt dishwashing trailer for rent. It is 38 ft long by 8ft wide. Many customers do not have a 3-phase power for a high temperature dishwashing machine that is why this 38ft mobile dishwashing trailer conveyor type is most preferred because it only requires little power. This conveyor type dishwashing trailer is also recommended for large-scale dishwashing operations because of its convenience in use. You can also add special additives in the rinse cycle to dry the dishes faster. Call us now and we’ll tell you more about this. 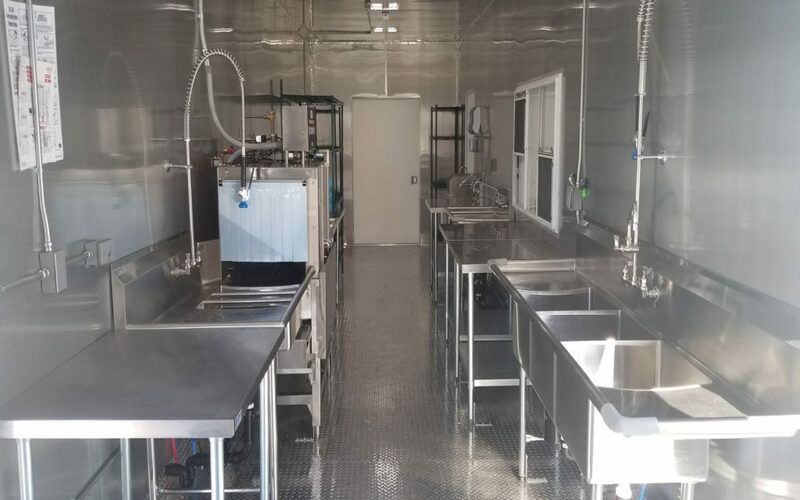 This 38ft mobile dishwashing trailer conveyor type is very spacious with a new 5 ton HVAC for your staff to get the best experience there is. 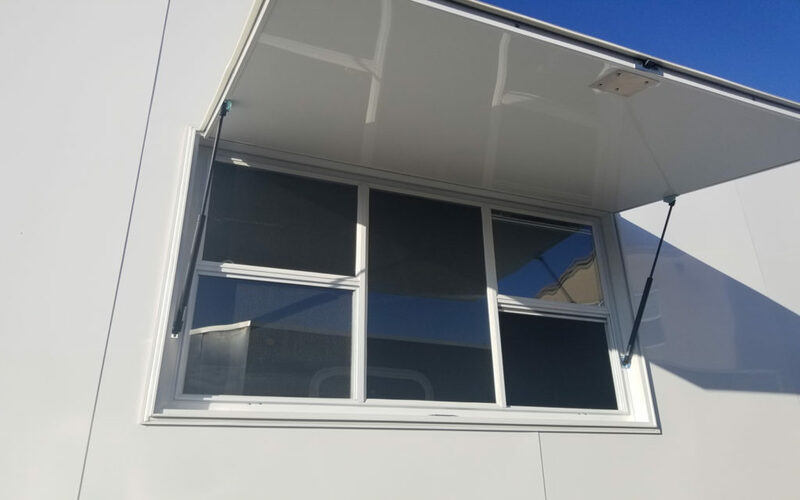 Make sure that this mobile dishwashing trailer is connected to a ½ inch water hose bib connection and 4-6 inch gray water outlet for final connection to the city wastewater line service.